In the wake of the launch of the adidas F50 Adizero form the Tribal Pack, adidas have launched two more versions of the lightweight football boot, in a more toned down Black/Grey look. The Adizero comes in both a synthetic and leather version, we take a look at both of them here. Come along! This Thursday adidas unveiled their new F50 Adizero Pink/Blue boot, which is a part of the Tribal Pack and that we will see on pitches around the world the coming pre-season, as well as when the new season kicks-off. There was plenty of colour on the new F50 Adizero and for the footballers who prefer a more relaxed design, these two new version provide an elegant alternative. 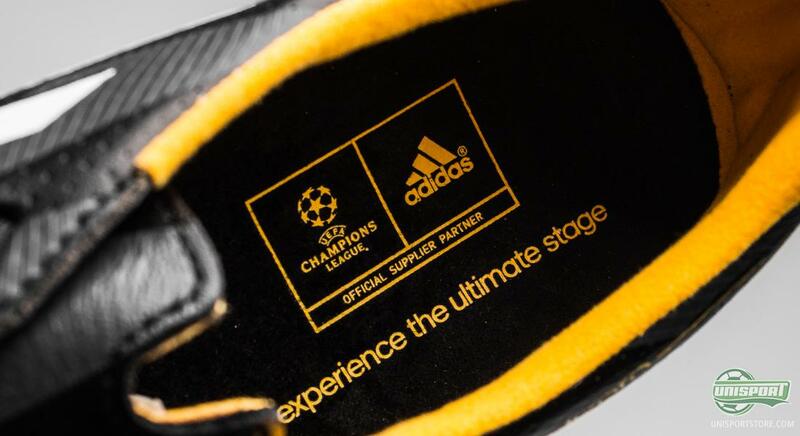 The new colourway continues the Battle-Pack design, but keeps a much lower profile, with a black base and a dark grey pattern on the top, as well as a warming yellow accent colour that makes up the inner lining and studs. 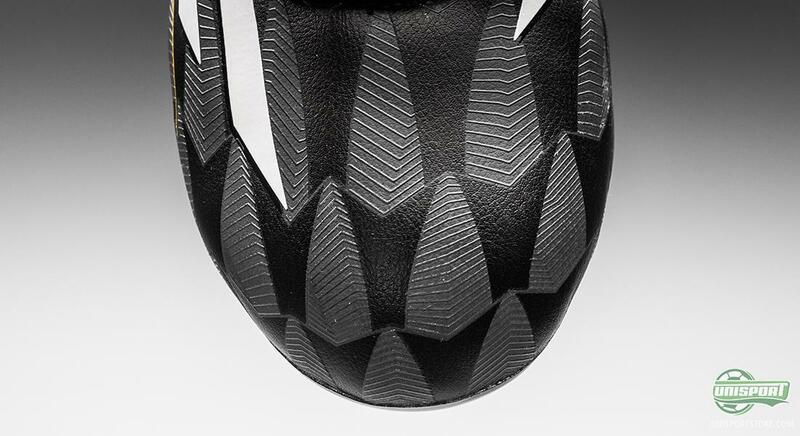 The leather version is made with a completely black front-foot and has therefore not taken on the Battle-Pack design. 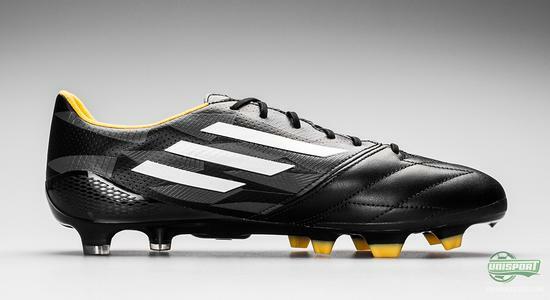 Pre-order adidas' new F50 Adizero Core Black/Core White/Solar Gold right here – just €219. 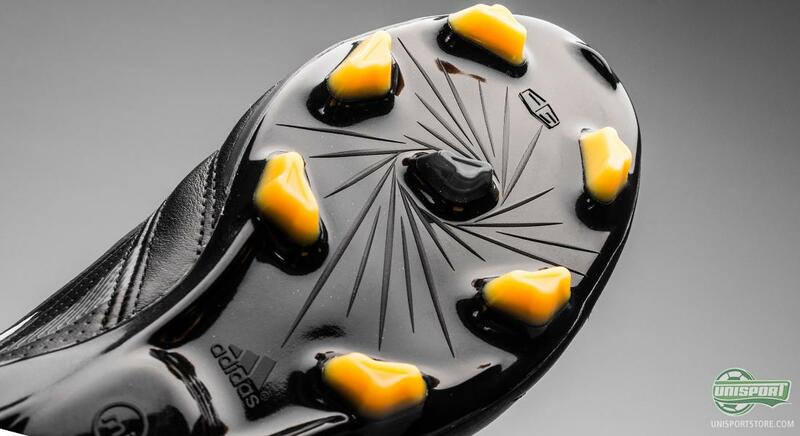 The synthetic version of the F50 Adizero is like its brothers made from adidas' ground-breaking Hybridtouch material that emulates all the good things from leather, but still gives you good durability and a water-repellent upper. 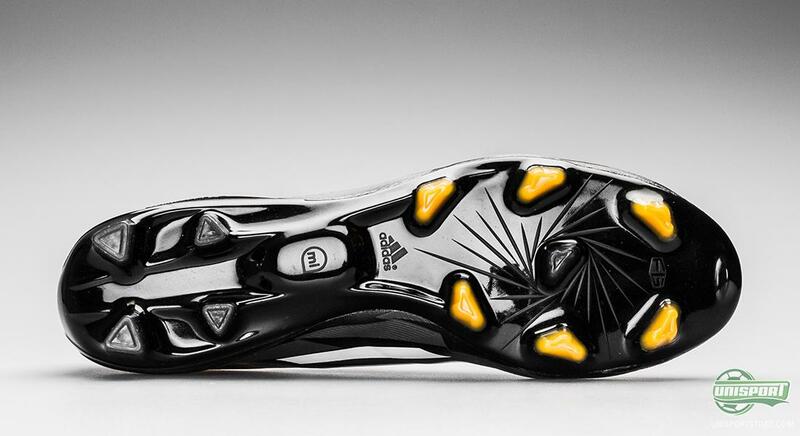 Hybridtouch is thin and supple, which means it fits your foot incredibly well, so you get a nice and tight fit, while still having close contact with the ball. 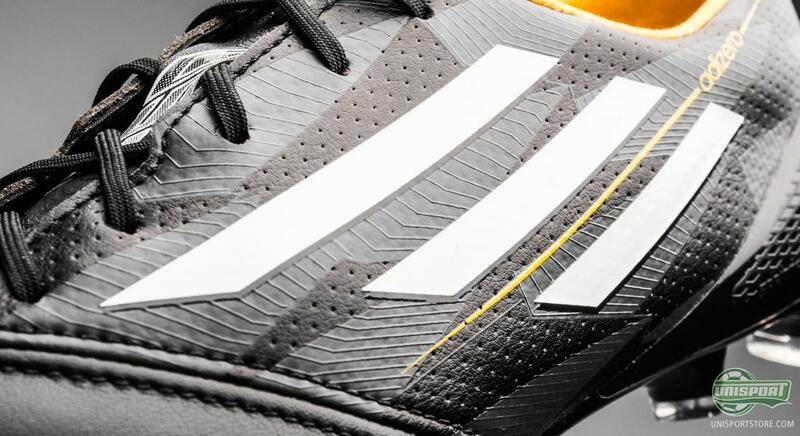 On the heel adidas have placed a piece of SPEEDFOIL, which is incredibly strong, but still very light and thin. 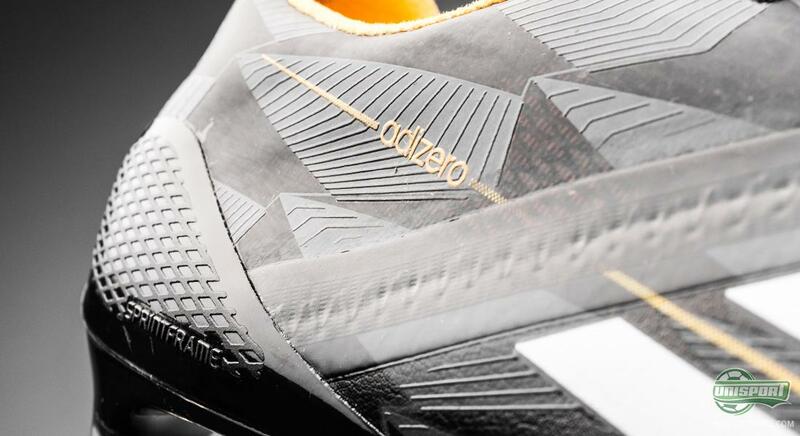 It helps keep the Adizero's weight at an impressive 150 grams in the synthetic version. 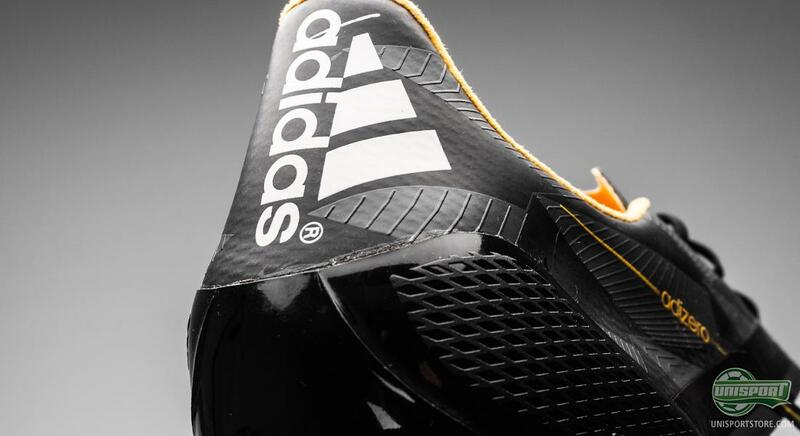 The SPEEDFOIL heel is accompanied by the Sprintframe 2.0 outsole that ensures good protection, should you take a kick to the heel. That might happen if a defender gets annoying seeing you speed away from him. The sole is used on both versions of the black Adizero and is made with adidas' newly developed SPEEDTRAXION stud-configuration, which provides a very aggressive grip on the pitch, while also allowing for surprisingly good manoeuvrability. So you can not only outpace your opponent on the first couple of meters, but also make them dizzy with small, quick and sharp changes of direction. 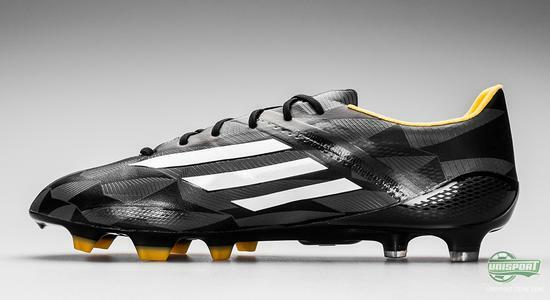 The leather version of the F50 Adizero is back for the first time since we saw the latest generation being introduced. 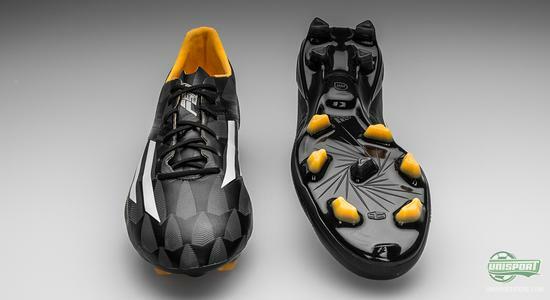 It keeps the black and yellow style and gives you a very different alternative to the super colourful Tribal Pack-version. The leather version is, like so many times before, made with Goleo-leather, which is a soft variation of calf-leather that has been tanned a little bit, so it is thinner and more supple. 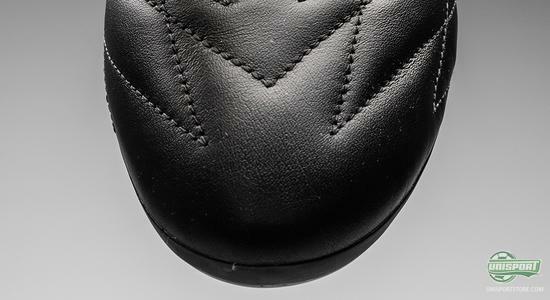 This gives the leather version a nice and personal fit – while this also gives it a slightly higher nose than the synthetic version. Besides the leather, what also sets this version apart from the synthetic boot, is that it has no SPEEDFOIL on the heel. This is instead a a single piece of synthetic-leather, which helps keep the weight low. 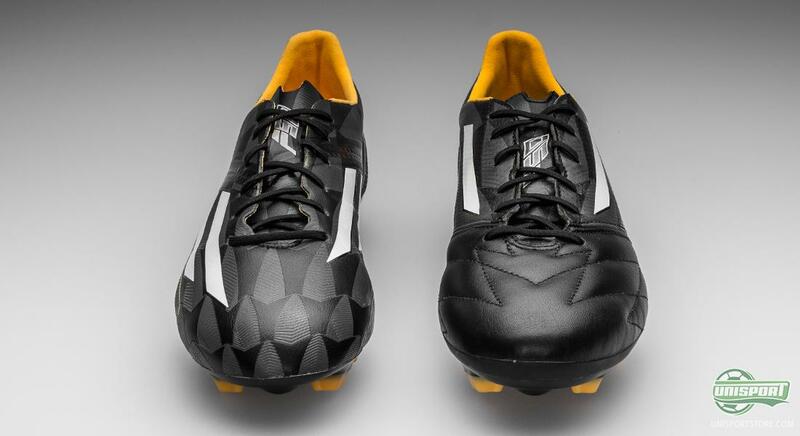 It looks very alike, but is not SPEEDFOIL. 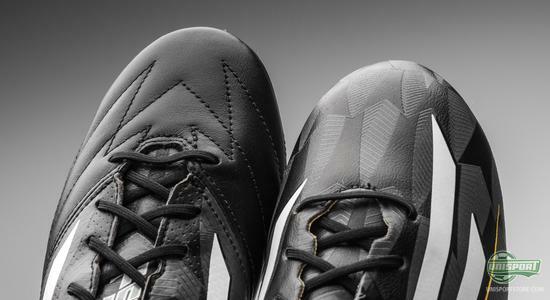 Regardless of which of the two F50 Adizero models you pick, there is plenty of bang for the buck and the black colourway is a brilliant alternative, if you want a lightweight football boot, but with out the wild colours. 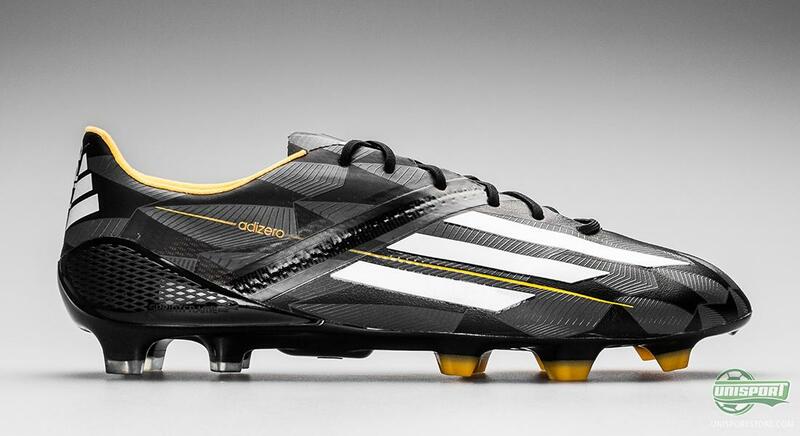 What do you think of the two F50 Adizero-models – and which side of the boot do you prefer? 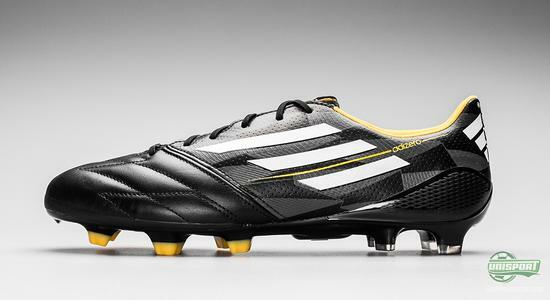 Pink/Blue or Black/Yellow? Share your thoughts in the box down below, or on Facebook and Twitter.